On this page, I plan to keep family updated to the goings on in the family. Births, marriages and the passing of family will be posted here. 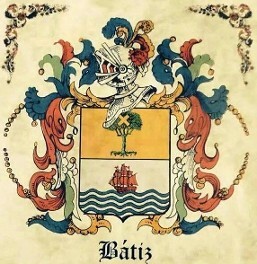 Interesting, and fun, facts about the family, the origins and etymology of the Batiz surname. Please feel free to share whatever information you would like to share with other fmaily members. 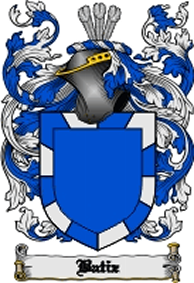 Many of us have been fascinated with the idea that our "family" may have it's own Coat of Arms. Searches on online databases with garner some interesting results, and varias coat of arms. 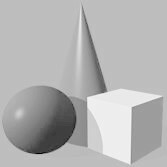 So it' simportant to understand how the assginement of heraldic symbols work, how they are created and how they are officially assigned. 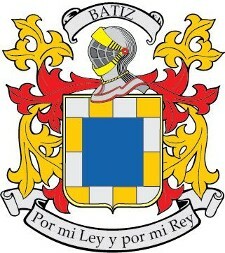 First, Coat of arms are assigned to INDIVIDUALS, not to families. It is with great sadness that we share with Batiz family members the news of the passing of one of our own. Carmen Syra, was born on November 22, 1942 to Julio Enrique Batiz y Mas and Blanca Grillasca y Delgado, to from Ponce Puerto Rico. She passed away November 4th of this year, just days short of her 70th birthday. Carmen Syra is survived by her husband Ruben; children Syra Noami, Ivette Nyra and Ruben Cardona and grandchildren Alexis Borras, Laura and twins Omar, Alex Cardona. For the first time this year, we have confirmed that the ancestors of the Batiz family came from Peñuelas before settling in Ponce, Puerto Rico. As Kamey and I have discovered, our common ancestor, Antonio Batiz Oliveras, lived in the Puerto Rican town of Peñuelas before settling, establishing a plantation, and owning many acres of land and several large houses all over town. 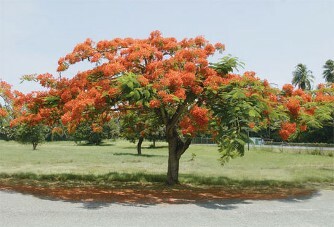 Antonio's elder sons, Joaquin, Jacinto Roque and Efrain were all born from his relationship with Aracelia Olivera, in the rural barrio of Peñuelas called Rucio. Documented as illegitmate, Antonio later marries Aracelia, legitimizing the boys. Years later, Aracelia passes away and Antonio remarries in Ponce with Hortencia Mas Toro, also from Peñuelas. Together, they have Rigoberto, Julio Enrique, Pedro Juan, Eva who died very young), Ada, Jose (Pepe), Amparo and Aida. They all lived in a large house, in "La Quinta", in the rural barrio of Marueño, and in their large multi-floor home on Calle Villa in the heart of Ponce.